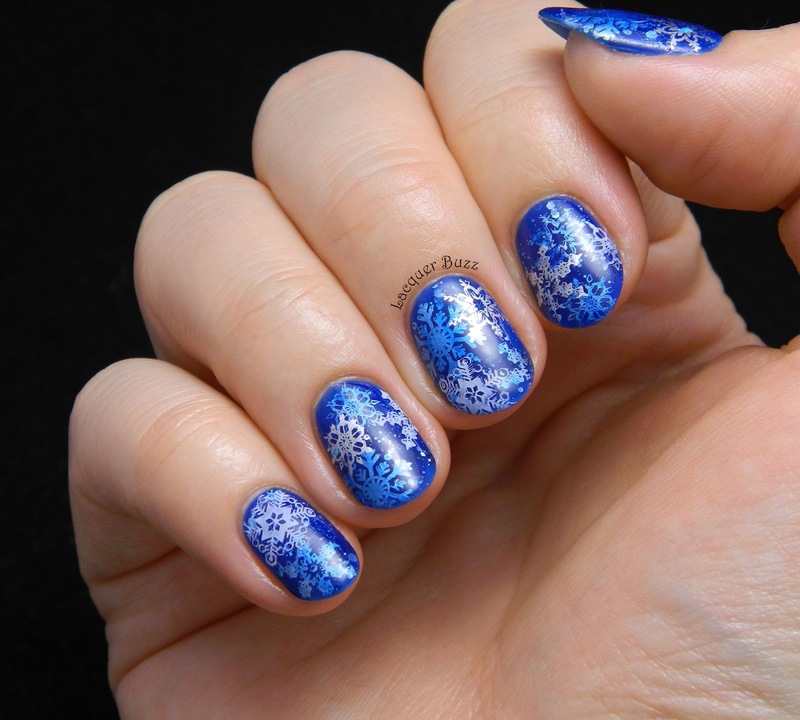 In essence, this manicure is a stamping sandwich with a touch of glitter. I called it a snowflake sandwich because that's that the stamping consists of. 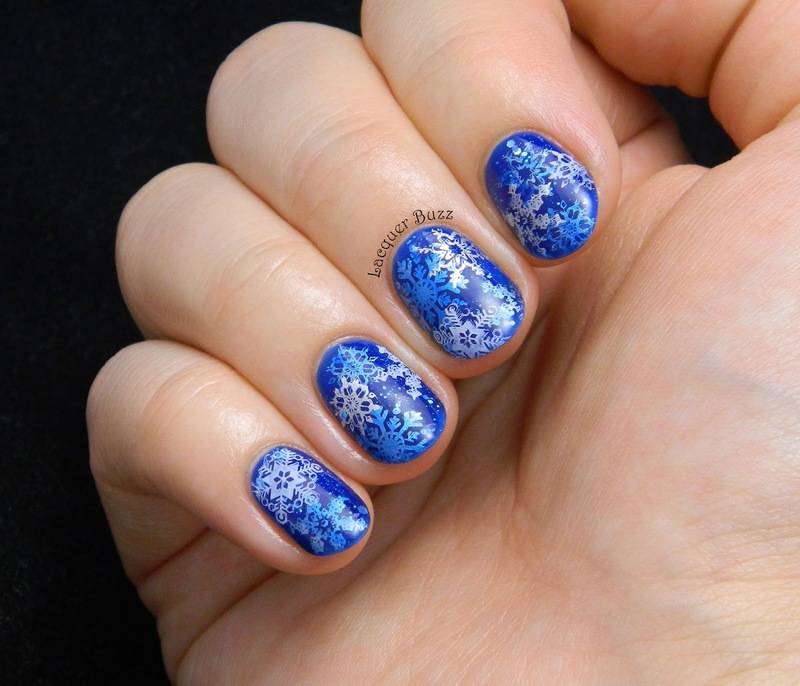 If you follow my blog for a while now, you might have noticed that I do a few snowflake manicures every year. I try to mix it up and this idea came at the right time. These nails took a lot of time to be created but I think they are totally worth it. 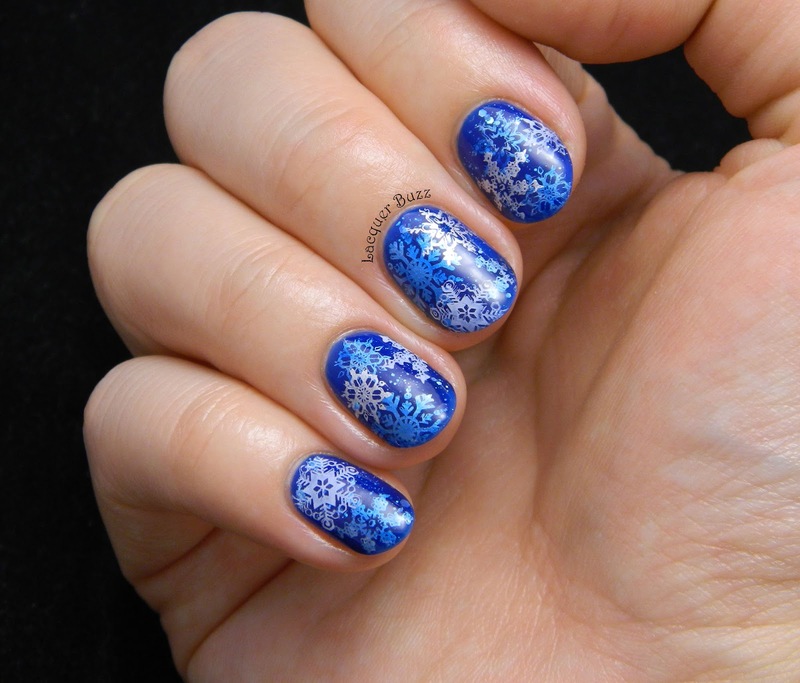 The jelly I used for the sandwich is China Glaze Ride the Waves, which is a very bright blue but I think it goes well with the snowflake theme. It kind of reminds me of a winter night sky. 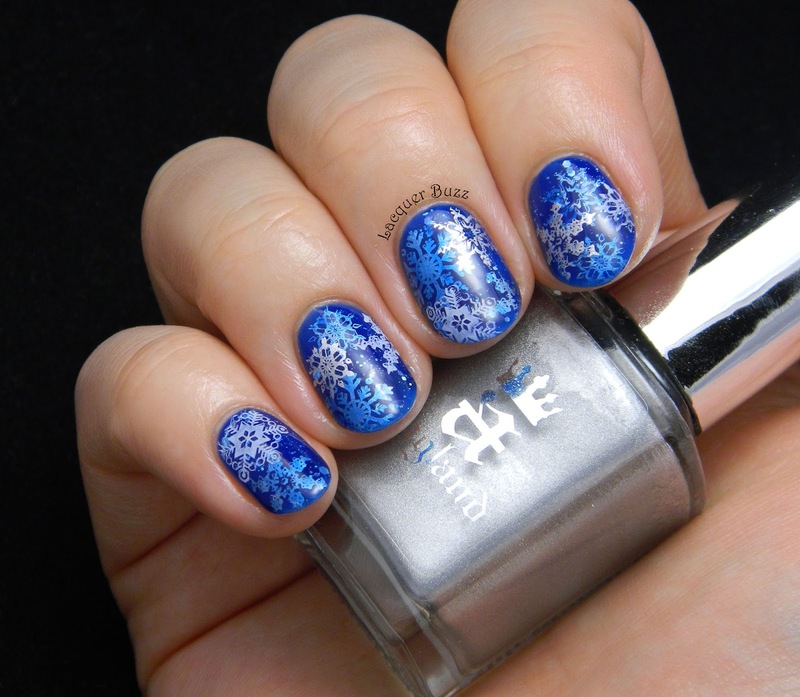 I started with two coats of jelly and then stamped different kinds of snowflakes using a-england Excalibur (silver). I also added some glitter between the flakes, by carefully placing some of Barry M Diamond Glitter. I then added a thin coat of the jelly and waited for it to dry. Finally I stamped some more snowflakes using the same silver and Konad White. The stamping plates I used are BP-01, BM-319 and M59. This manicure easily entered the top of my favorite manicures of all time. I can't begin to explain how much I love it. I really hope that you will feel the same way! Don't forget that there are more blue manicures to be discovered in the links below! I love it! The different colored snowflakes look great over that blue. This turned out beautifully!! I absolutely love it! Love the use of snowflakes for a stamp sandwich!! This turned out great!